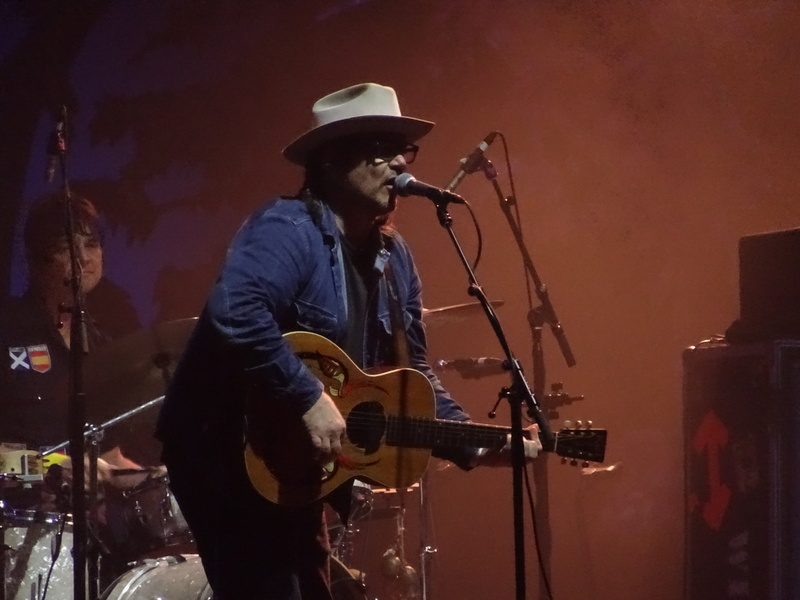 Jeff Tweedy performs with Wilco at Eaux Claires. Eaux Claires attendees battled intermittent heavy showers and the looming threat of severe weather to see Wilco, Paul Simon, Feist and other artists at day 2 of Eaux Claires. Wilco played for nearly two hours despite Eaux Claires organizers moving the band’s set up in anticipation of severe thunderstorms. Main stage artists continued to perform while side stage acts were cancelled. 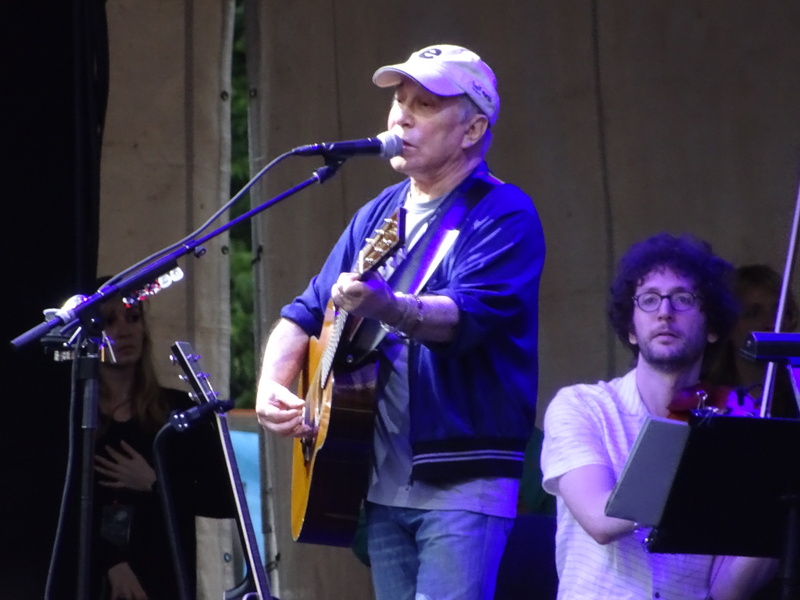 Before Wilco took the stage as the night’s headliner, Paul Simon played a 60-minute set with yMusic, a New York City-based chamber ensemble. Paul Simon reimagines Simon & Garfunkel classics with yMusic. Together, Simon and yMusic put a refreshing classical spin on “America,” “Mrs. Robinson,” The Boxer” and “Sound of Silence.” Their show was worth the wait after heavy rains delayed Simon and yMusic’s new set time by about 30 minutes. “It’s really a good omen when the crowd is wet and shivering, but the performers are dry,” Simon said to a drenched Eaux Claires crowd. Before Simon took the stage, Feist played her new album, “Pleasure,” in its entirety for festival attendees earlier that evening. Wearing a bright pink dress with ruffles and strumming her guitar in front of an electronic fan, Feist made her live performance a pleasurable one for fans. “For two years now, I’ve heard about you guys, and so today, we would like to do something special just for us to share this moment together in honor of these incredible clouds,” Feist said. In the afternoon, attendees danced to the party rap and club music of Baltimore-based Spank Rock, who traded jabs on stage with Amanda Blank and opened and closed his set with the Midnite Express, a Native American musical troupe. Other day 2 festival highlights included Appalachian-style folk music from Mountain Man, which features Sylvan Esso’s Amelia Meath, Molly Sarle and Alexandra Sauser-Monnig, and the indie pop of Perfume Genius.